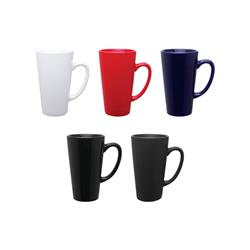 Custom Glossy 16 oz Tall Latte mug - a classic design perfect for client gifts, and coffee shops. Colors include white, cobalt blue, and black. 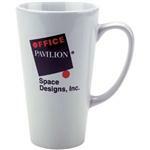 Need help visualizing your logo on this mug? 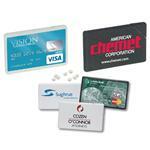 Email for a free electronic mockup to sales@adcomarketing.com. One of our best selling promotional mugs. ON SPECIAL NOW AT 144 OR MORE PIECES! Dimensions: 6 inches high by 3-9/16 wide. Typical Imprint Area(s): 2-1/4 x 2-3/4 x 7. Ceramic Mug, Non-Metallic Inks are dishwasher and microwave safe. 15 x 10-1/4 x 13, 36 pounds per 24 mugs.